In September 2018, Global Zero, in collaboration with the Program of Science and Global Security at Princeton University, released an alternative to the Trump administration’s Nuclear Posture Review — “The End of Nuclear Warfighting: Moving to a Deterrence-Only Posture.” Over the next few weeks, Global Zero will break down the key recommendations of the report and what it means on the path to elimination of all nuclear weapons. The current size and structure of the U.S. nuclear arsenal is based on a strategy of warfighting. It’s a dangerous strategy that places hundreds of targets on Russian and Chinese nuclear forces, encouraging the first use of nuclear weapons and keeping hundreds of these weapons on high-alert, ready to launch within minutes of receiving the order. The United States can drastically reduce nuclear targets — and, in turn, reduce the nuclear arsenal — by dropping secondary targets from its war plan, shifting the strategy from warfighting to deterrence-only, and providing more non-nuclear options. Under current U.S. nuclear warfighting strategy, there is an estimated total of 1,500 primary and secondary aimpoints, which are precise locations where a weapon is targeted to explode. These aimpoints are spread across four countries: Russia, China, North Korea and Iran. They fall into three categories: weapons of mass destruction (the adversary’s nuclear forces), war-sustaining industry such as oil refineries, and leadership such as the Kremlin in Moscow. Of those roughly 1,500 aimpoints, 975 are in Russia with around 100 aimpoints in the Moscow area, pictured on the map. The average explosive power of just one nuclear weapon is about 20 times that of the bomb dropped on Hiroshima. The use of 50 nuclear weapons on Moscow and the surrounding area would devastate the region and result in the deaths of 15.4 million people. With 100 pointed at Moscow, it is the equivalent of 2,000 Hiroshima bombs. Drop the “secondary” targets from the war plan: Dropping targets of secondary importance would decrease the total aimpoints to 905 under a warfighting strategy. Shift U.S. nuclear strategy from warfighting to deterrence-only: This means the United States would adopt a no-first-use policy, committing to never use nuclear weapons first in a conflict. It also means de-targeting the entire category of the adversary’s nuclear forces, decreasing the total number of aimpoints to 445. Provide leaders with more non-nuclear options: U.S. conventional and cyber weapons are able to destroy at least 30 percent of traditionally nuclear aimpoints. These options would minimize civilian casualties and encourage de-escalation of a conflict before it crosses the nuclear threshold. This is an aggressively conservative benchmark; the scale of destruction inflicted by an attack against 445 aimpoints still constitutes overkill. The Moscow region would encompass roughly 50 aimpoints, which would result in over 15 million deaths. The U.S. can undoubtedly establish a credible deterrent at much lower numbers. U.S. war plans need an overhaul — one driven by a shift from a nuclear warfighting strategy to a deterrence-only strategy. Stating the sole purpose of nuclear weapons is to deter their use against the U.S. and our allies not only cuts nuclear targets by half, it immediately reduces the risk that a nuclear weapon will be used whether by accident, miscalculation or on false warning of an incoming attack. Next week, we’ll explore the implications of this shift in strategy on U.S. nuclear force structure. (Spoiler: The U.S. can maintain a credible nuclear deterrent with far fewer weapons). 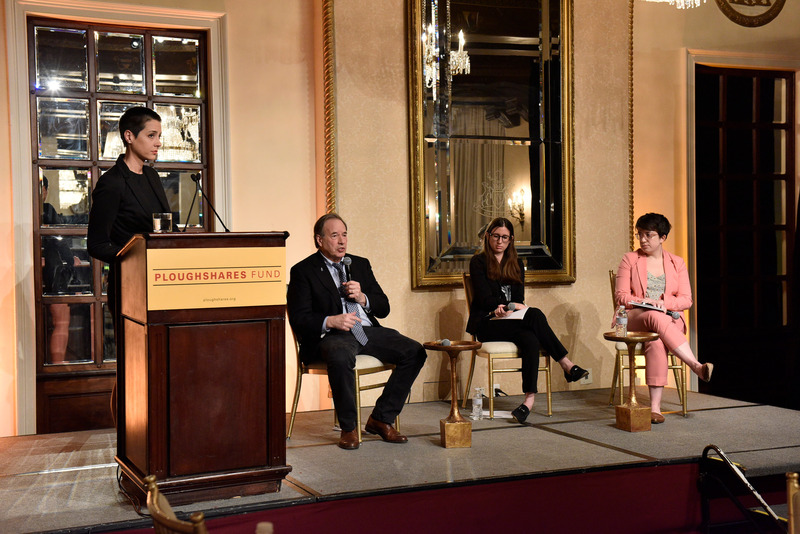 This post is a modified version of remarks given at the Ploughshares Fund event on November 16, 2018 “The Future of U.S. Nuclear Weapons Policy.” The full presentation can be seen here.